Television communicates a rather interesting narrative on how toxicology tests are conducted. On television, toxicology testing can appear glamorous, easy, and efficient. The truth is, toxicology testing reality is far from the elegant forensic portrayal on television. Toxicology tests are processes used to check for drugs, alcohol and other chemicals in the blood, urine and saliva. Through various means of ingestion, tox screens will pick up the presence of up to 30 drugs. There are various types of testing involving toxins. Toxicology testing performed after a person’s death is known as forensic toxicology testing, or post-mortem drug testing. Clinical toxicology testing refers to the testing done in an emergency room instances such as when a patient is administered with signs of alcohol and/or substance abuse. Toxicology testing in other instances such as the workplace to screen (potential) employees, and athletes to pick up any abuse of banned substances. A forensic toxicology expert will conduct tests using a collection of blood, urine and tissue samples. The goal is to find out what substances have killed or implicated a person, and how. Crime television series are a popular genre. They absorb audiences into their narratives of forensic crime solving. Shows such as CSI, NCIS and Bones show forensics and toxicological evidence to be an easy process where hi-tech machines can produce accurate results in a matter of days, sometimes even hours. In most instances, the appropriate evidence is gathered from the beginning – uncompromised of contamination, and perfect for capturing the guilty. The truth is, investigations using toxicology are highly complicated and involves the detection and interpretation of drugs in the system of a victim or perpetrator. Scientists work long, tedious hours. Even in simple cases, toxicological investigations can take weeks to get conclusive results. Due to the low supply of toxicological experts, time per case is extended as a lone toxicologist works on multiple cases. Despite the level of expertise, often collaboration with other professionals is needed for finalizing results. 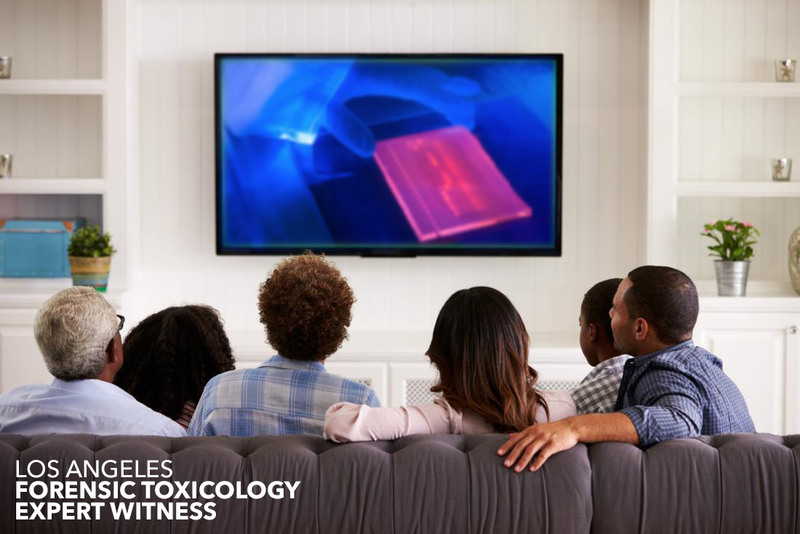 Additional steps in toxicology testing not shown on television are the chains of custody and paperwork that accompany every case. Forensic toxicologists need to complete documentation in meticulous detail for the sake of records and court cases. The chain of custody is the paper trail that records the journey of evidence and needs to record all exchanges, tests and personnel details. The protocol and procedures of toxicology testing are a lot more intricate, labor intensive and detailed than it appears on television. There are constantly new developments involving forensic toxicology research and equipment. With expertise in both forensic toxicology and pharmacology, Okorie Okoracha is skilled in understanding the processing, working for accurate results, and using knowledge to serve as an expert toxicologist and witness, shedding light on the intricacies and misunderstandings of complex scientific concepts and procedures.